These cross-industry teams deliver work packages that include research and development projects. We take a look at some of the current work below. Work commissioned by UKOPA to develop a strategy for the safe management of pipeline construction dents has been completed. What remains is to transpose the findings into a UKOPA guidance document and an assessment tool for use by member companies. The practical significance of this work is that while dents could be a potential threat to integrity, shallow dents (generally less than 5% of the outside diameter) commonly occur during material handling at construction. Dents introduced at the construction stage of the pipeline life cycle tend to be shallow, as illustrated in the photograph. Post-construction they will be subject to the pipeline hydrotest and in many cases are shown to be fit for purpose. However, as these sorts of dents introduce a stress concentration, they may pose a fatigue problem especially if they are associated with a weld. Existing fitness-for-purpose assessment methodologies are conservative and predict that a relatively short fatigue cycle is allowable. The UKOPA dent management strategy provides a method for prioritising dent features for further investigation, and methods and criteria for the assessment of dents subject to static and cyclic loading, taking account of the location, depth, strain and its association with welds and other forms of damage such as corrosion. The rationale applied is that dents that cannot be assessed and sentenced must be investigated and repaired, otherwise dents are prioritised for investigation according to their association with metal loss, welds and circumferential location. An Excel-based software dent management tool has been developed, and tested, by the PIWG, which allows pipeline operators to apply the dent management process to pipeline dents identified by inline inspection. 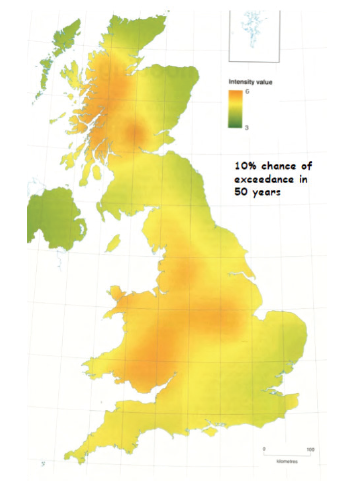 As part of the work carried out to update the pipeline risk standards BSI PD 8010-3 and IGEM/TD/2, UKOPA implemented an update to guidance on the inland failure rates due to natural occurring landslides. 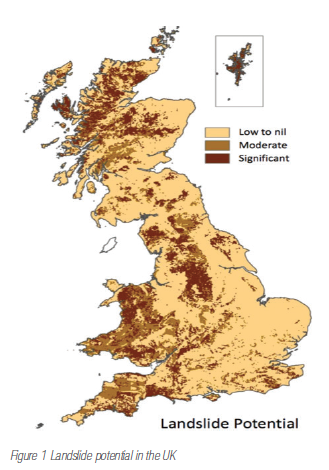 This work updated the original study carried out in 2005, which provides calculated rupture rates according to zones of differing landslide susceptibility provided by the British Geological Survey (BGS). The original rupture rates were based on typical pipeline survival potential according to weightings derived for diameter, wall thickness, material grade, operating pressure and girth weld quality for the UK pipeline population. The update, completed in 2014, built on this work to identify failure rates due to ground movement according to failure mode (leak or rupture) girth weld quality and nominal pipeline wall thickness. The update includes the current five-tier GeoSure scheme now used by the BGS to assign landslide susceptibility. In addition, UKOPA consulted with the BGS to produce a simplified ranking in terms of low, moderate and significant potential for landsliding, together with the relative landslide incident rates. This guidance, which is included in the published updates of BSI PD 8010-3 and IGEM/TD/2, is summarised in Figure 1. Requirements for the seismic design of structures in Europe are covered in the recently published standard Eurocode 8. This includes pipelines, but the detailed requirements for seismic assessment of pipelines and the associated installations are not addressed in either Eurocode 8 or the UK national annexes. 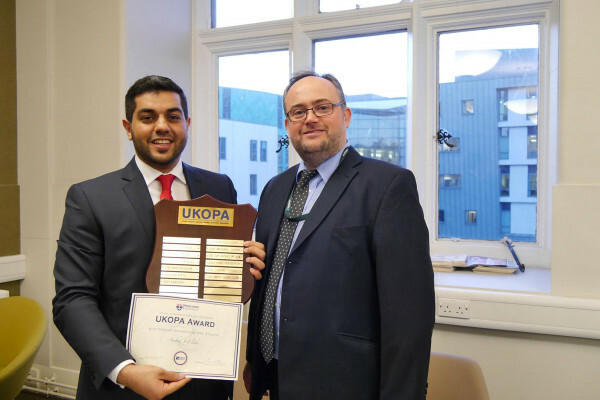 UKOPA is progressing an expert interpretation of the application of code requirements for onshore pipelines and associated installations in the UK. The aim of the work is to identify the need and scope for UKOPA guidance on the seismic hazard to pipelines, and to clarify the circumstances that would justify or require a seismic assessment of a specific pipeline or installation. The hazards which seismic activity poses to pipelines are the strain induced in a pipeline by propagation of the seismic wave, and permanent ground movement caused by surface fault rupture, slope instability and liquefaction of the soil. The risk to pipelines and installations is then determined by the magnitude and intensity of the seismic event. This data is produced by the BGS, as shown in Figure 2 below. This work included a review of pipeline performance during past earthquakes, which has confirmed the low vulnerability of modern welded steel pipelines to seismic hazard. UKOPA is now undertaking a further study to develop the code interpretation into a simple screening approach for application by pipeline operators. Regulation 25 of the Pipeline Safety Regulations 1996 places duties on local authorities that have MAHP in its area to prepare a plan detailing how a possible major accident will be dealt with and that pipeline operators will provide the local authorities with information as it may reasonably require in preparing the plan. 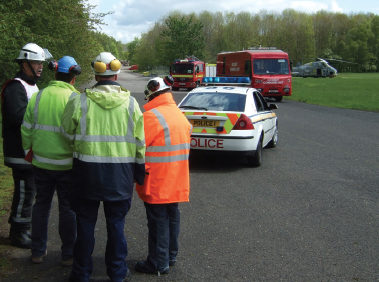 UKOPA members meet this requirement by providing local authorities with emergency planning distances for every MAHP that they operate. Work is almost completed on producing a UKOPA good practice guides on emergency planning distances. The guide identifies the recommended emergency planning distances for liquid hydrocarbon pipelines, ethylene pipelines and natural gas pipelines, all presented in one easy-to-use document.